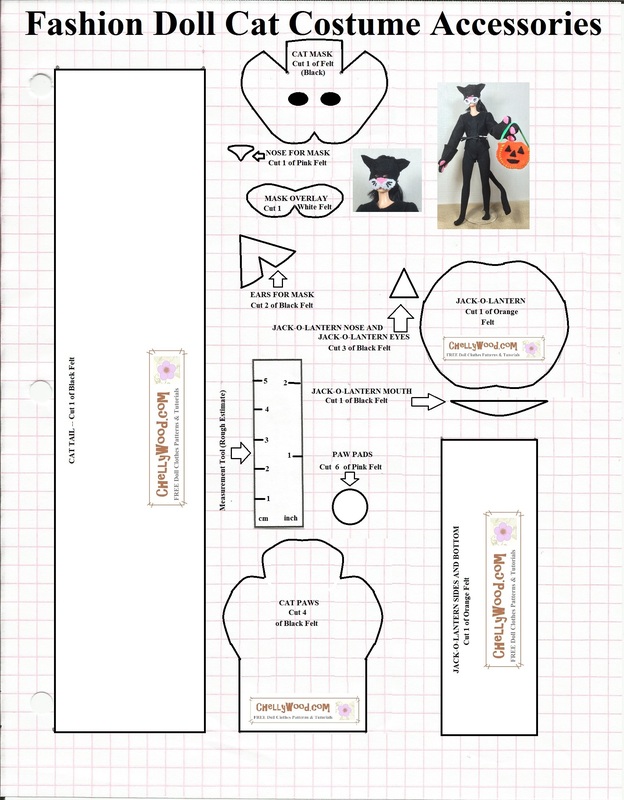 Here’s a re-post of pattern #1 for my fashion doll Halloween costume set. I’ve been getting requests to include a measurement gauge; therefore you’ll find this pattern, along with some of the other new patterns, have a small measurement tool on the patterns themselves. 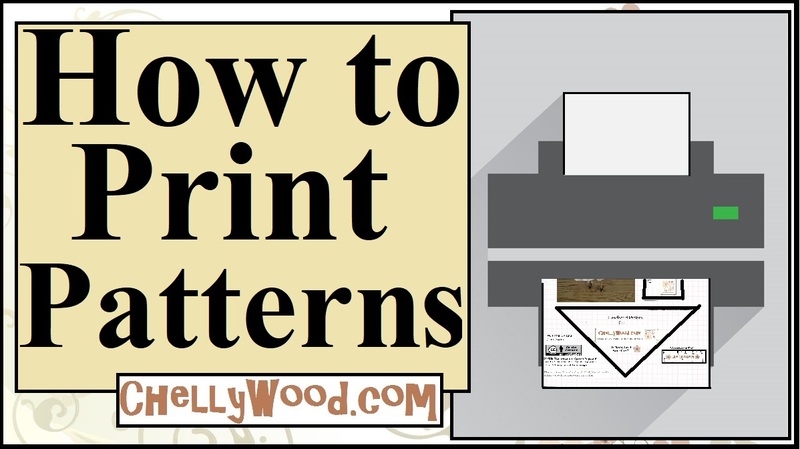 This is designed to help you determine whether or not you’ve printed my patterns to the right scale. It also helps to watch my tutorial video, showing how to download and print my free patterns. I’m re-posting this pattern because it was last posted at the start of the month, and you’ll need it to make the candy basket for tomorrow’s tutorial. In addition to ChellyWood.com, I also run a “Secret Santa” blog, where you can find poems and gift box ideas for Secret Santa or Silly Santa. I’m simultaneously posting this jack-o-lantern pattern and tutorial on my Secret Santa blog because it makes a fantastic little gift for an office pal or Secret Santa. Just fill it with M&M’s or Reeses Pieces and place it on someone’s desk as a friendly holiday surprise!